In short, relatively quieter than many USB fans out there, rechargeable and variable speed. Slightly on the larger side, but sturdy and solid. USB Fans, had so many including some well known brands - all failed in many ways, sometimes too loud, some of them are not powerful enough so some even run away from where I kept due to its weight! 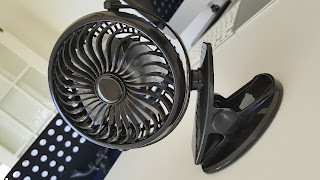 Honestly I didn't had much expectation, but this (not so) little fan surprised me in in terms of features and quietness. 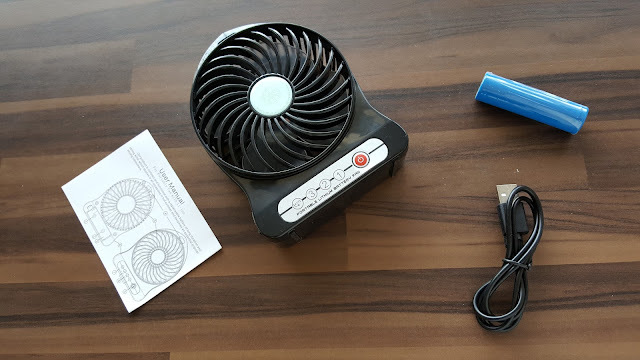 Biggest advantage is plastic fins / leafs - the shape stays in place, a lot quieter than metal counterparts, sleek looking, Micro USB port to charge to built in lithium battery, charging adapter is not included but you can charge using your existing adapter or laptop / desktop USB ports.The fan has a firm base, which also acts as a clip base which can be clipped on to any things. 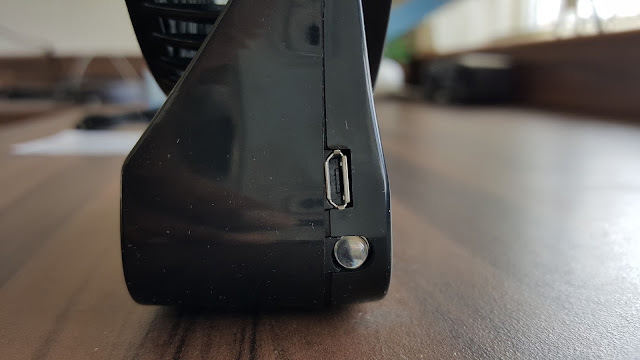 The clip has rubber padding to avoid any scratches. 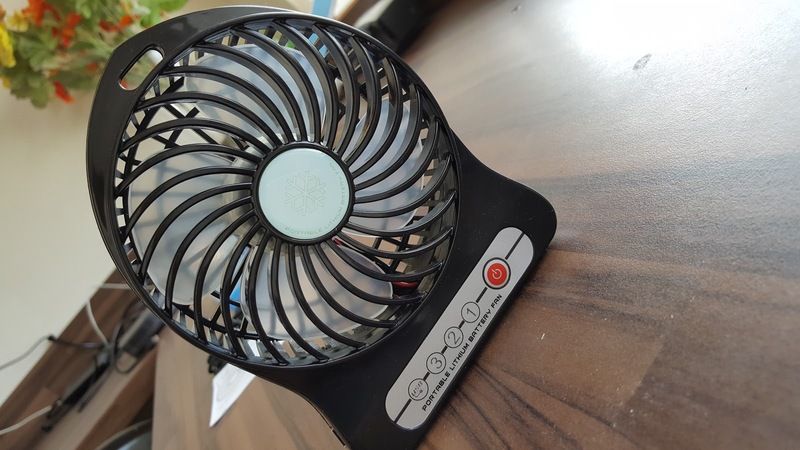 The fan has variable speed settings, works from battery (built in, but replaceable 18650 battery) so you don't need to attach the cord. You can top up the battery from USB adapters / battery packs etc. 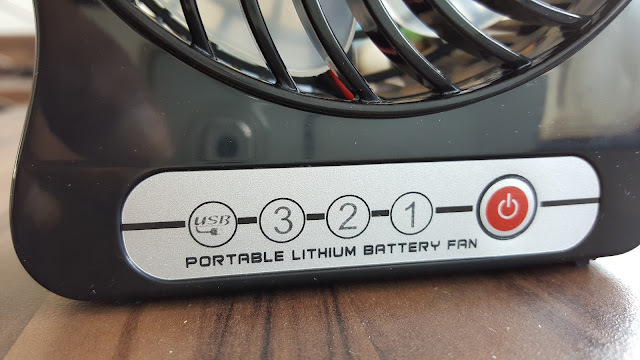 3.7V/2200mA battery could get you through the entire night. 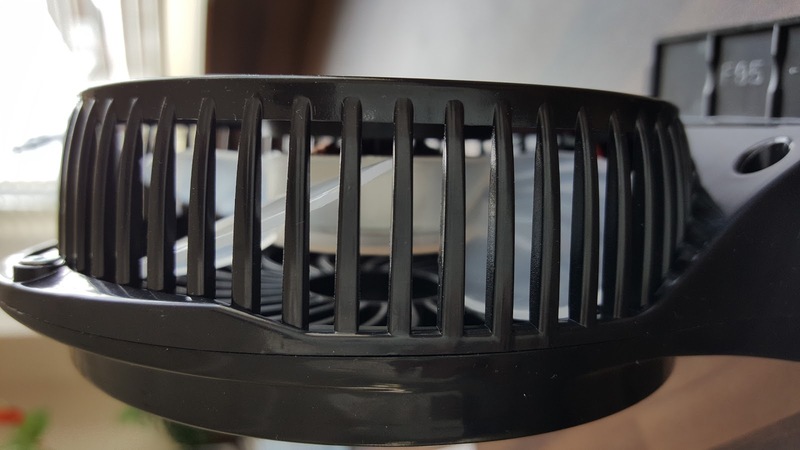 Overall a very good fan with different mounting options. Please do check out the pictures to see what you get and how it looks.